The path crosses over a few streams which merge with Supin. After a few hours of walk the village of Gangad can be seen towards the left, across the river. We continue our hike and after about an hour's walk, the quaint village of Osla unfolds itself. Seema is a tiny settlement opposite to the river from Osla. We set camp here or stay in a hut with a local family in the village. After traversing higher up along the left side of the river, we camp at a very panoramic spot in Har ki Dun, located at the junction of two valleys - one originating from Jaundhar glacier and the other from beyond Hata glacier. Today we trek at moderate pace to reach Ratha Tho. On the wasy, we pass by Morinda Tal, a small lake. A part of the trek is a bit over boulders but with the views of snow covered peaks and wide valleys, it is a beautiful walk. On this day, we walk higher up. The path is over boulders and quite often snow covered. The campsite at upper Lamjung is also on snow mostly. From here one gets a beautiful view of the valley behind. We start before sunrise for this day's trek. As we keep moving higher up, the views open up behind us. After crossing two glaciers and a final ascent over boulders, the cradle shaped Borasu pass lies before us. We descend towards the Himachal side of the pass into a large glacier usually glissading over the initial slope. The trek further is along a tributary of Baspa river. We may find shepherds near the campsite. Today's trek takes about 8 h. This is an easy walk through flower fields and forests. Overnight in Chitkul Village. The trek ends here. One can get public or private transport from Chitkul or Sangla to Shimla. Transport support from and Dehradun to Taluka: on day 1 and day 2. All veg meals starting from day 1 dinner to day 7 lunch. Tented accommodation throughout the trek. Possible guest house accommodation on Day 1. 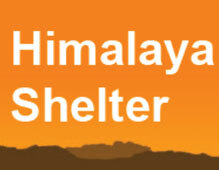 Accommodation in Dehradun and in Chitkul.